How do we address the problem of access denial in Pakistan? The dilemma authorities and now the court is faced with is this: on the one hand are sentiments that need to be respected; on the other are freedoms that also need to be protected. And this debate is currently ongoing at the Lahore High Court, where a petition regarding the ban on YouTube is being heard. 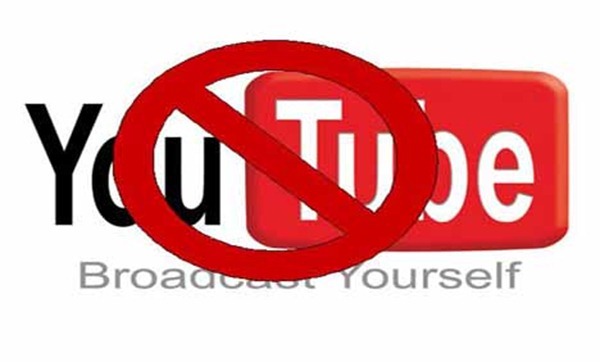 It has already been established that the ban on YouTube is overbroad; access to a lot of educational videos among other content, has been restricted. However, the problem with reopening YouTube in Pakistan – officially – remains linked to the ‘Innocence of Muslims’ video. There judge’s view is that reopening the platform without restricted access to the video has the potential of sparking off violence. And so as soon as access to the video can be restricted, YouTube can be reopened. The simple solution would be just not to watch the video. Unless one makes an effort to go to the specific URL, the video will not just show up. The other thing to do for those who feel strongly about the content would be to flag it. If enough people consider the content to be hurtful, they have the option of reporting it. Once a certain threshold is reached, a video is reviewed against community guidelines to see whether it violates them and is taken down. However, neither of these are the popular solutions. Not that the take-down system itself is free of problems – it also has the potential of being misused. Is blocking URLs really possible? This, too, came up in court, addressed first by Pakistan Telecommunication Authority (PTA) officials in the hearing held on April 12, and then by non-state technology experts on April 26. According to PTA, despite blocking links to the video, new links cropped up every day. PTA’s argument was that given the current capacity, they could not keep restricting access to links leading to the video, and so had to shut down the domain. This is a justification presented by the authorities time and again for blanket bans. The architecture of the Internet is such that there is no way of really restricting access; there are always ways of getting to something. And so trying to block is really an exercise in futility. As it is, most Pakistanis have been accessing YouTube through the use of proxies, rendering the ban in place redundant. Amicus Khurram Zafar maintained it was not the business of the state to determine what one should view or not view. That discretion should be exercised in the home. He advocated self regulation vs state regulation. Just as parents use safety tools and browsers that prevent their children from accessing certain content, the same can be done for the video in question – users can install softwares in their own machines to restrict access. But one person’s morality cannot be applied to another’s or extended to apply to the country’s people as a whole. Interestingly enough, the PTA official also said content blocking was not their mandate, and neither should it be. Rightly so. Currently, it appears to be the mandate of the Inter-Ministerial Committee for the Evaluation of Websites (IMCEW). The IMCEW comprises representatives of the following ministries: Ministry of Information and Technology, Ministry of Interior, Ministry of Information and Broadcasting, Cabinet Division and, apparently also a representative of the ISI, as revealed by the PTA official. In fact, it was the federation lawyer who mentioned it was the IMCEW that had ordered an ‘IP level’ ban on YouTube in September, when it convened to discuss the issue. A document in this regard with the decision in writing was submitted to court on April 12. But this also raises the question, whether government functionaries should be the sole decision makers? At one point, there was also discussion on existing methods of blocking – which by the way are manual at the moment. Those present at the hearing were asked by the judge how this is done in other Muslim countries. The PTA official was quick to say they have better technology and thousands of employees to carry out this task. But again he expressed the reservation that PTA was not the authority that should shoulder this responsibility. There was also talk of procurement of filtering softwares – which is a dangerous road to go down. The court was cautioned that among the many negatives, it slows down internet speed and breaches user privacy. According to the PTA representative, a system has been acquired by PTCL (Pakistan Telecommunications Company Limited) – one of the two gatekeepers with landing rights to the Internet – but is glitchy. However, he assured it would be up and running in the next two to three months, and should be functional for the next two to three years. What exactly is the capability of this system and how will it be used is unclear. On the face of it, these systems are supposedly acquired to block anti-Islamic and pornographic content but, their many uses involve curbing political dissent. Citizen Lab’s report ‘Planet Blue Coats’ was was submitted to court by Bolo Bhi, which extensively discusses the types of filtering softwares in place in various countries, and the problems with them. There was extensive talk about http and https too. As explained by the PTA official, most websites use https – a secure network. And anything on https is virtually impossible to block and cannot be done their end. He also mentioned that doing away with the https layer would be detrimental to commerce and especially the banking industry. The concluding argument on the technology side of this issue was this: there is nothing that can be done from within Pakistan to block links to the video; it is something only YouTube can do. This moved the discussion to a resolution of sorts on the policy side of this issue. Since the outcry against the video, in Pakistan the question being asked was: why doesn’t YouTube just block it? There was no simple answer to this. One contention by the company was that for a video to be removed by them, it had to violate community guidelines which, according to the Google Transparency Report released on April 25, 2013, this video didn’t. Then why was it blocked in other countries and not in Pakistan was the other question. Local versions of YouTube – i.e. country level domains – exist in countries where the video was restricted. This was true of many Muslim countries, where even today YouTube is officially accessible. But why not in Pakistan? The policy perspective to this query is: Google and its subsidiary YouTube have no legal presence in Pakistan. While a Mutual Legal Assistance Treaty (MLAT) was being viewed as the solution to this, it really isn’t. The MLAT is a treaty signed between two countries – in this case, it would be Pakistan and the US. The treaty facilitates an exchange of information and action but on the basis of corresponding laws. And in this particular case, there are no corresponding laws to address the situation. This was explained in detail by Ministry of Information and Technology’s Member Legal, Kamran Ali, on April 26. While Saroop Ijaz, another amicus in the case, raised the point that nothing should be blocked, however, the judge pointed out that the video would have to be blocked, and that was a given. What was important to establish according to him was, how could that be achieved and the platform reopened. The debate then shifted to localization. If Google was registered in Pakistan, would it then restrict access to the video at the country level? And what is required for Google be localized in Pakistan? While there would be multiple factors only the company can make clear, one is definitely intermediary liability. 40. Limitation on liability of network service providers.—In the absence of intent to facilitate, aid or abet, a network service provider shall not be subject to any civil or criminal liability solely for the reason of use of his telecommunication system in connection with a contravention of this Ordinance by a person not subject to the direction or control of the network service provider. Just like telecom companies are not held responsible for what their users say to each other while using their services, similarly, in other parts of the world, providers of Internet services or platforms for content sharing are also not held liable for what their users post. This is the basic distinction between traditional platforms from non-traditional platforms. While publishers and broadcasters apply offline editorial policies online, and screen content before posting it, the same is not true of platforms video-sharing platforms for example, that do not actively screen content but merely offer their services and allow the users to upload directly. And so in many parts of the world, there exist legal protections in law providing safe harbours to companies. In Pakistan, this protection exists for ISPs under the ETO, but not for companies. Without this, no company would take on the risk of registering in a country, and have local laws apply without any protections in place. To extend this protection to Google as a primer to localization would require an amendment to the ETO or, enactment of new legislation. Since both these are long-term processes, in the hearing held on April 26, the judge said intermediary liability protection could be extended to Google through a court order for the interim period, so that progress is made to unblock YouTube. In this regard, he has called Caretaker Minister for Information and Technology (MoIT), Dr Sania Nishtar, to appear in court on May 3, 2013. In addition to this, instructions have been issued to the MoIT representative to write to Google and solicit its view on the case. While the policy solution to unblock YouTube has now been identified by the court, and Google’s response is awaited, the issue that remains to be tackled is what are we going to do when tomorrow something ‘objectionable’ shows up on another site? Do we block everything, block selectively or nothing at all? This is what will come up for discussion in the next hearings. May 3, 2013: No hearing was held, however, Caretaker Minister for Information and Technology, Ms Sania Nishtar made a written submission to court. In it, she stated the matter of localizing YouTube was being pursued with the Google/YouTube administration. The honourable judge, in his court order, provided Google with the option of EITHER submitting a written response to court OR appointing a representative to appear in court. The manner in which the company decides to respond was left to its discretion. May 16, 2013: An MoIT official informed the court that Google has asked for more time to submit a response to court. Hearing of the case adjourned to July. 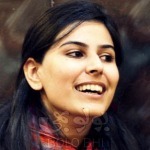 Farieha Aziz was appointed as an amicus curiae on behalf of Bolo Bhi on April 4, 2013, by Justice Syed Mansoor Ali Shah in the YouTube case currently being heard at the Lahore High Court. 2 Responses to "Bolo Bhi Amicus Reports on YouTube Case Hearings"
what needs to be focused on if at any point in time a long term strategy is to be developed as to how the internet aggregation is made going forward, there are a lot of if’s and but’s giving an example, will the anonymous proxies be blocked, are we going to agree to a national internal aggregation but keep in mind all these bring a down side to the whole picture that is moving slowly toward monopoly. on the other side what is missing on the PTA part they to make the blocking feature as part of the license requirement, that will only leave few operators at T1 or T2 the rest all needs to be moved below the T3, content downloads via VSAT also needs to be framed.